The practice of agriculture across the Mediterranean basin has had significant social and economic consequences, including the development of social inequalities. 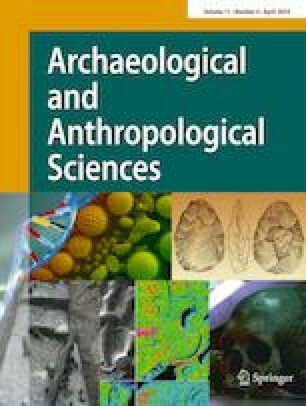 To inform on plant water status and thus on agricultural management techniques and environmental conditions during the first half of the second millennium BCE, we measured stable carbon isotopes in a set of 280 seeds of Hordeum vulgare L. and Pisum sativum from the archaeological site of Peñalosa (Baños de la Encina, southern Iberian Peninsula). The ranges in stable carbon isotope values for archaeological samples were wider than those observed for modern reference samples collected in 2014 and 2015, suggesting that archaeological samples experienced more varied water status conditions. This variability was associated with the location of the seeds within the site and could be a consequence of the cultivation of different plots and/or from temporal variations in local environmental conditions. For absolute comparisons of water status between modern and past samples, we introduced a novel correction to account for temporal changes in the concentration of atmospheric CO2 in addition to the usual adjustment that accounts for the variability in atmospheric CO2 stable carbon isotope values. This comparison showed that past samples had greater water availability than modern references, and thus, irrigation or intentional selection of naturally irrigated soils was practiced at the site. The online version of this article ( https://doi.org/10.1007/s12520-018-0650-6) contains supplementary material, which is available to authorized users. This work was supported by a FPU grant at the Spanish Ministerio de Educación, Cultura y Deporte (AP2012-1353) and part of this research is included in the PhD Thesis of Adrián Mora-González “Irrigación y secano en el Mediterráneo Occidental (III-I milenio A.N.E. ): un estudio isotópico”. This research has been conducted within the framework of the R&D Project HAR2011-30131-CO2-01 “La minería en el Alto Guadalquivir. Formas de construcción históricas en la Antigüedad a partir de la producción, consumo y distribución de los metales” funded by the Spanish Ministerio de Economía y Competitividad and the Project RNM-8011 and the research groups RNM309 and HUM274 (Junta de Andalucía). We thank the assistance of Leonor Peña-Chocarro, Esther Checa Gómez, Elena López-Romero and Cristina Criado at the Archaeobiology Laboratory of the Center for Humanities and Social Sciences (CSIC) in sample preparation and to Jose María Cantarero for his help in sampling at Baños de la Encina. Finally, we thank the helpful comments made by the editor and two anonymous reviewers.